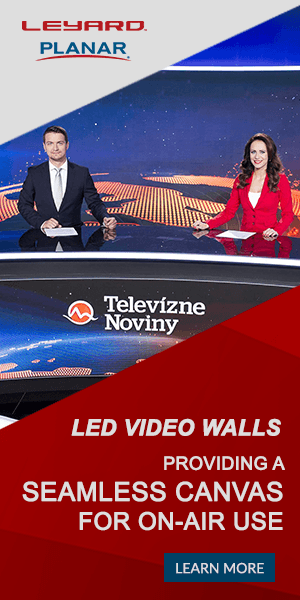 Megyn Kelly’s second interview with Russian president Vladimir Putin is slated to air as a special Friday, March 9, 2019 at 9 p.m. eastern — and NBC is going all out with an energetic promo. The spot uses a blend of fast paced music with fast cuts timed to the beat. “Tonight … from inside Russia…” the announcer says as shots of Putin and Kelly walking around iconic landmarks are shown. Following this are quick clips from the interview that give a glimpse into the content. 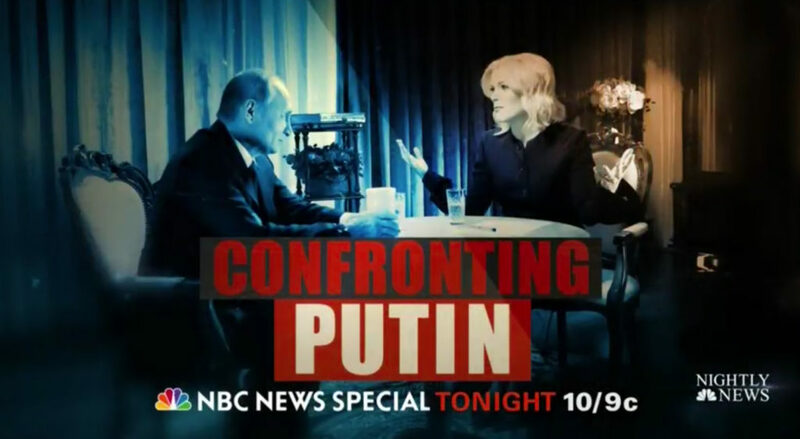 “NBC Nightly News” also previewed the interview with a brief snippet and the title slide above, which is a bit more bold. 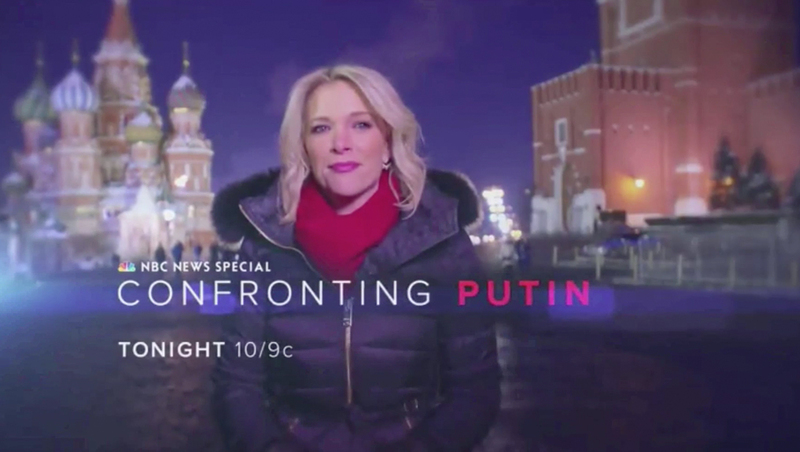 Meanwhile, the full spot ends with a shot of Kelly standing in Red Square with the Kremlin and St. Basil’s Cathedral in the background with blue bursts and shading around it, with the name of the special “Confronting Putin” below in a widely spaced sans serif font, with Putin’s name in red. Kelly’s post is sort of a blend between a serious journalist “anchor pose” and a smile. The interview is said to get heated at times, so perhaps the “confronting” branding is spot on. Kelly first interviewed Putin on the first edition of her primetime newsmagazine show “Sunday Night with Megyn Kelly” in June 2017 — with disappointing ratings of 0.8 in the 18-49 demographic. It scored a bit better in the 25-54 news demo — registering a 1.2. Early this week, NBC announced “Sunday Night” will return to the schedule and appear “periodically” — though it gave little additional detail.